Did you know that an estimated 10 million American adults experience problems with their TMJ (or temporomandibular joint)? While most people don’t give their TMJ a second thought, it can be the only thing that you think about if you have problems with it! 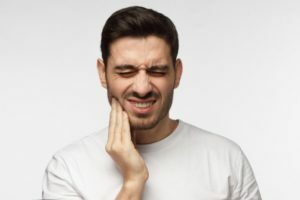 Also called TMD (temporomandibular disorder), this condition can lead to many symptoms, including chronic headaches that impact your day-to-day life. The good news? A dentist in West Bloomfield can provide simple, non-invasive TMJ therapy to restore your quality of life. Keep reading to learn more about TMD and what kind of treatment is available. You’ll be glad you did! It has been an exhausting day, and you are ready to call it a night. Your mouth begins to open wide for a big yawn when suddenly your jaw snaps shut as a result of the immense pain radiating through it. What could this be? This could be a sign of TMJ (Temporomandibular Joint) dysfunction. 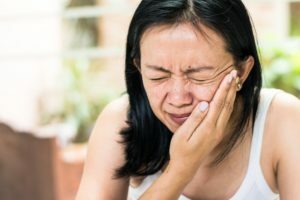 If you are one of the millions of Americans who suffer from jaw pain, let a dentist in West Bloomfield explain the symptoms of TMJ and the possible solutions to find relief. Is Your Jaw Hurting? 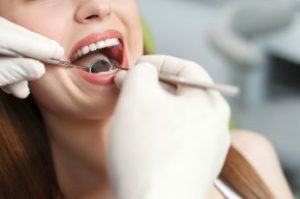 Your Dentist in West Bloomfield Can Help! TMJ disorder is an ailment that affects almost 10 million people in the US. “TMJ” is the short version of temporomandibular joint, or the joints that connect your lower jaw to your skull. This disorder occurs when your TMJs are inflamed or damaged. 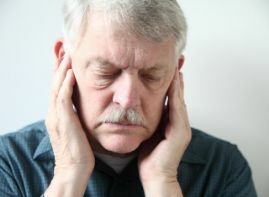 If you’ve been experiencing jaw pain or discomfort, you may have TMJ disorder. Thankfully, your dentist in West Bloomfield can expertly diagnose and treat jaw dysfunction. Keep reading to learn about the symptoms of TMJ disorder and what your dentist can do to help. Comments Off on Is Your Jaw Hurting? Your Dentist in West Bloomfield Can Help! LakeView Family Dental Welcomes New Dentist in West Bloomfield! In this month’s blog, LakeView Family Dental wants to welcome a new dentist in West Bloomfield to the practice: Dr. Marc Globerman. They’re excited about this new addition to the team because it means they can serve the community even better than before! Whether you’re already a patient of Dr. Globerman and have “followed” him here or you’re a new patient at the office, he looks forward to giving you and your family exceptional dental care. Keep reading below to find out what Dr. Globerman brings to the table and learn about the kind of service you can expect at each visit! Comments Off on LakeView Family Dental Welcomes New Dentist in West Bloomfield!